Macadamia, nutrient-rich nuts. 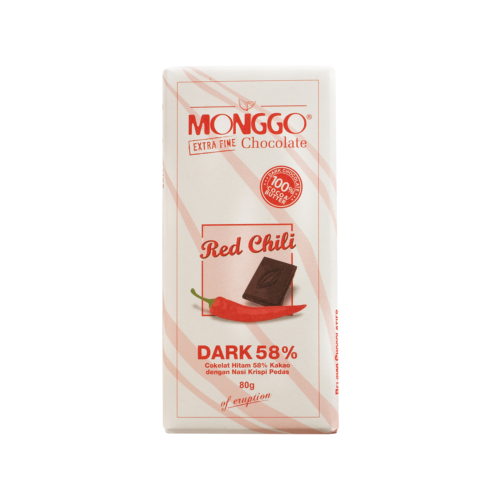 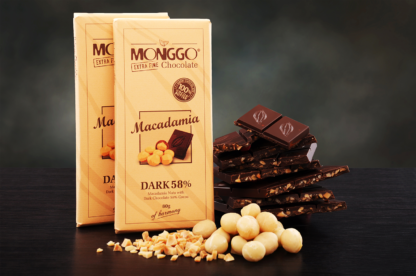 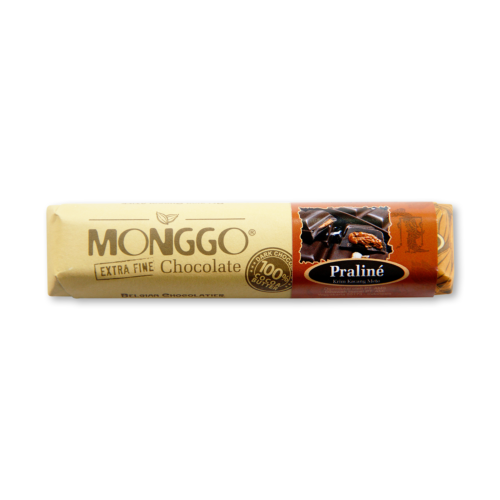 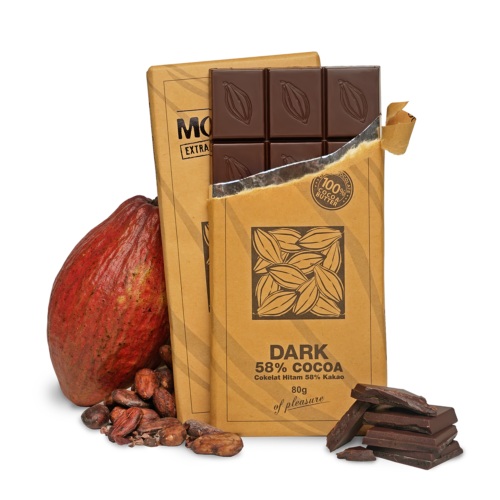 Enjoy the crispy macadamia nuts in 58% dark chocolate from Monggo. 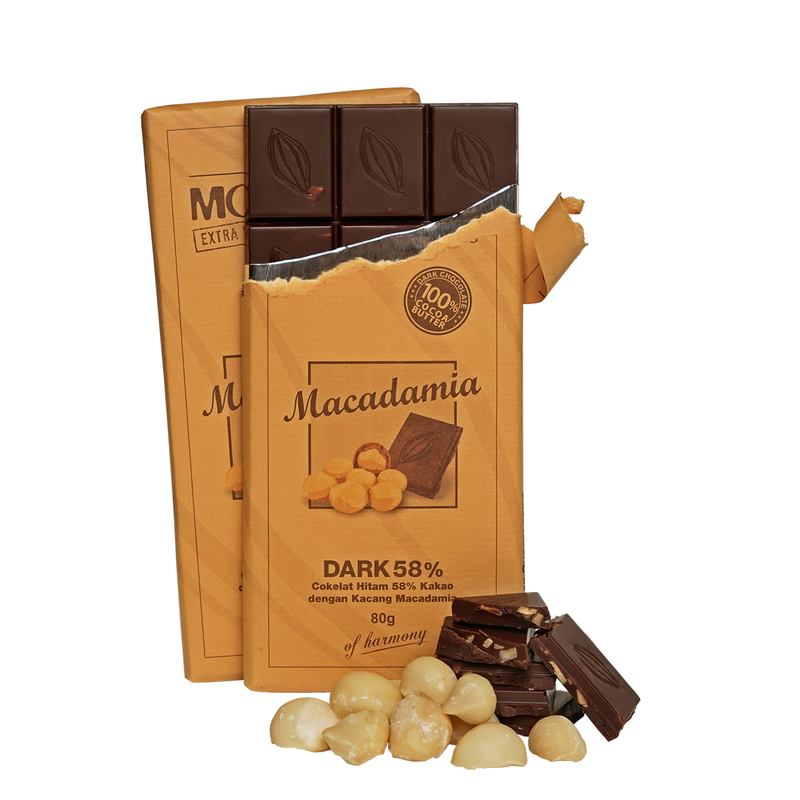 Dark Chocolate Couverture 58 % Cocoa (sugar, cocoa mass, cocoa butter, soy lecithin, vanillin), Roasted Macadamia Nuts.